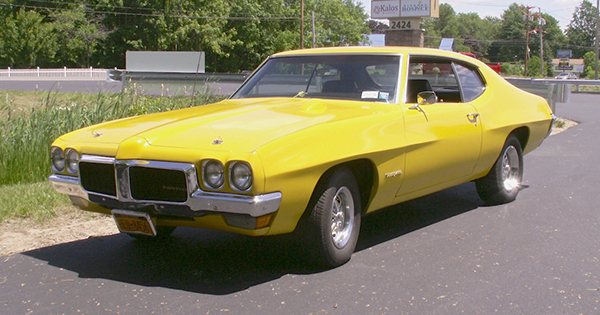 Here’s a 1970 Pontiac Tempest GT-37, which indicates an option package available on both the pillared coupe and the two-door hardtop seen above. When new, GT-37s were equipped with hood locking pins, body striping (not seen here), white letter tires, Rally II wheels, performance dual exhaust, heavy-duty 3-speed floor-mounted transmission w/Hurst shifter, and GT-37 badging. Think of the GT-37 as a de-contented GTO. Saw this one in the visitors’ lot of a recent car show in the Town of Wheatfield. Jim Corbran, RRofWNY Check out our new Facebook page: LuvTheCheapies The post RealRides of WNY appeared first on Buffalo Cars.